In 2005, while working with the marketing director at Michigan State University College of Law to promote the college’s Indigenous Law Program, I met Asst. Professor Del Laverdure, the founding director of the program. At that time, he was the chief justice for the Crow Tribe Court of Appeals, and is now the deputy assistant secretary for the U.S. Department of the Interior Indian Affairs. The college’s law program was intended to attract Native American students to study indigenous law with the hope that they would return to their tribes and legally represent them. The tribes need lawyers to protect their lands, sacred grounds and cultural practices, and today’s battles are being fought in the courtrooms instead of battlefields. After talking with Professor Del Laverdure, I was impressed with his demeanor and explanation of the Native American culture. This influenced me at a family gathering to ask my grandfather if he was Native American. He answered, “Yes,” but then he turned away. He didn’t want to talk about it. 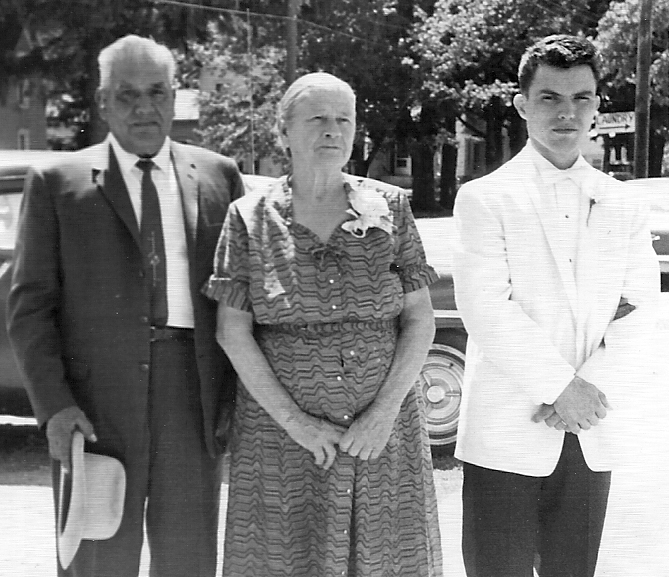 My great-grandfather, Manuel Carinas Herrera; great-grandmother, Juanita Garcia Herrera; and father, Robert Herrera, on his wedding day. My great-grandfather had also worked in mines igniting dynamite—a dangerous vocation—and went back to live on the reservation for seven years. My father continued that he was the strongest man he ever knew. He could carry two logs, one over each shoulder, like a normal man might carry bags of feed. 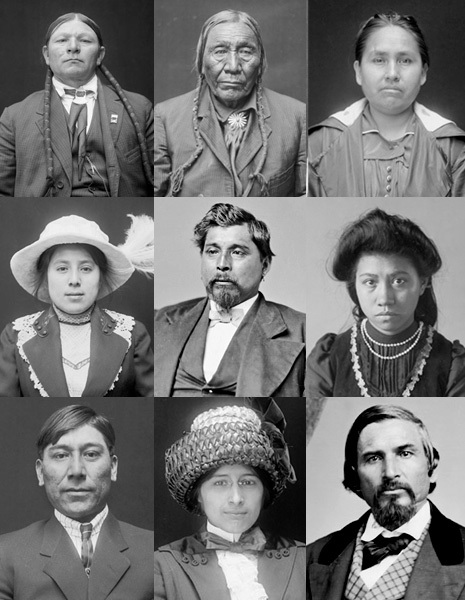 The tragedy continued with The Americanization of Native Americans assimilation effort by the United States to transform Native American culture to European-American culture between the years of 1790-1920. Native American children were forced into boarding schools, run by religious groups who taught them Christianity instead of their tribes’ spiritual customs, and banned from speaking their own language or dressing in native clothing in an effort to assimilate them. And until 1978, spiritual leaders ran the risk of jail time for practicing their rituals. It is deplorable that our country has a history of genocide (and slavery), and that Native Americans are still forced to protect themselves against further encroachment by the U.S. government and private interests. It is also understandable why many Native Americans are distrustful and angry over these events, but are these feelings serving them? Some might say that Native Americans are having the last laugh because of the money being made from the casinos; however, Native American gaming has also proven to be very ineffective in improving many tribal economies. Native Americans have the highest poverty and unemployment rates in the United States of America. And, when I think of the Native Americans’ former dignity and way of life, and their spiritual practices that connected them to nature, animals, and the skies, water and land, I can’t help but believe that all of us have been diminished by the cultural loss of these great people who once dominated this land. How I would love to see the Native Americans forgive the trespasses of the past (and present), and open up their culture for all who feel compelled to join them. Forgiveness isn’t easy, and Native Americans have received one of the hardest lessons in forgiveness that can be given, but the anger that is smoldering inside the tribes is robbing them of the beauty of their spiritual path—a path that could be restored through forgiveness. Perhaps they feel that their rituals and spirituality are too great a gift to give away to outsiders. 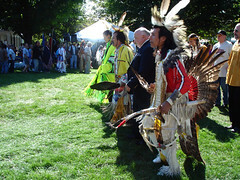 Yet, Native Americans have a resource for communicating with the Great Spirit through Native-American spirituality, also known as shamanism, Who can help them to forgive. Native Americans will not diminish themselves through forgiveness—quite the opposite. The act of forgiveness will be for themselves to let go of their anger, be at peace, and move forward with no resentment standing in the way of them knowing their true selves. I ask them to open their hearts to the rest of the world. What greater impact could they have on their oppressors than to educate them about the Native Americans’ culture, spiritual practices, and respect for nature. People fear what they do not understand, but Native Americans can help those outside the tribes to better understand their way of life. I can’t think of a better outcome than to have everyone in this great nation practice, or at least understand, Native American spirituality. One cannot deny the attraction that Native American spirituality holds for many people outside the tribes. Why should some tribes live in poverty, when they could accept love donations or charge for workshops, demonstrations and apprenticeships to help others become knowledgeable on their way of life. I realize many don’t feel it is proper to charge for teaching spiritual and cultural practices, but I think of it as charging for their time. Does a Culture lose its culture by extending it to others or strengthen it? I believe they will strengthen it when they teach others, because they are reinforcing the message and its usage for themselves. This can also foster outside empathy for their ongoing efforts to preserve land, receive government monies and regain the rights to perform ceremonies that are still banned by the federal government because of the use of ceremonial plants, such as peyote. I don’t doubt that many Native Americans feel that it is sacrilege for someone to have few lessons and then try to teach rituals to others (such as the accidental sweat lodge deaths that occurred during a ceremony performed by self-help guru James Arthur Ray). To help prevent future misinformation and destructive incidences from occurring, the tribes can offer certifications that will help ensure that their rituals and teachings are performed with respect and knowledge. We can expect a clash of cultures when the typical American’s mentality of “instant gratification” collides with an ancient belief system. So be it, we will learn from each other. The Great Spirit is the voice of love. I can think of no better gift that Native Americans can give to others and themselves than to share that love with every living being, even the white man. 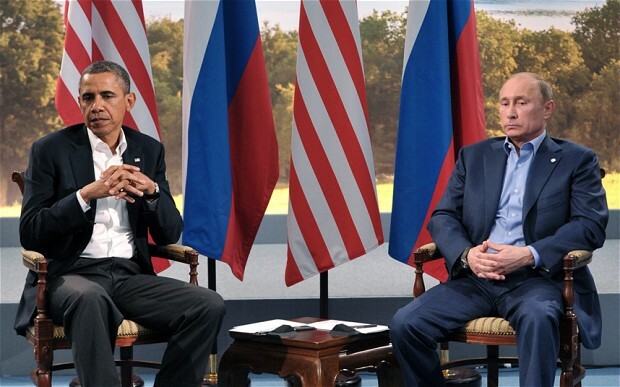 As a war in the Ukraine looms over our heads, peace becomes a welcomed alternative. It’s hard not to feel helpless when the world governments are caught up in conflict and misinformation abounds. My initial reaction was to protest the impending war with Russia. But, it didn’t feel right. We manifest our thoughts, so protesting war seemed to reinforce the possibility. I prayed about it, but truthfully, I didn’t expect an answer to this man-made dilemma. But, a few hours later, a Facebook post showed up in my email. It had a link to an article on the technique of Ho’oponopono, used by Dr. Hew Len to cure a ward of mentally ill criminals. This was done consistently, over and over, and the inmates got better. It worked so well that mental ward was closed down because the inmates had been healed! If you have difficulty praying for a president you didn’t vote, do it anyway. If you have difficulty praying for a perceived enemy, do it anyway. 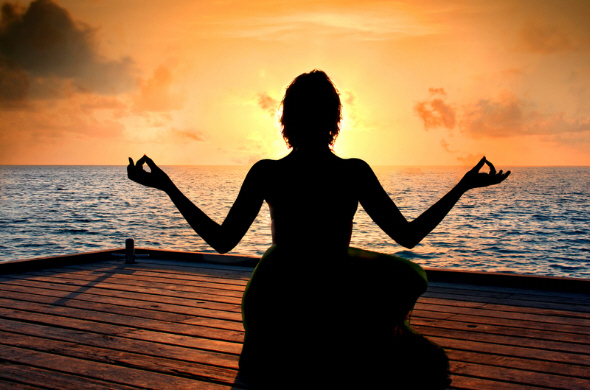 Feel the peace that comes with love, forgiveness and power. Let’s see if we can manifest peace. To read the full article, written by Rosario Montenegro, click here.